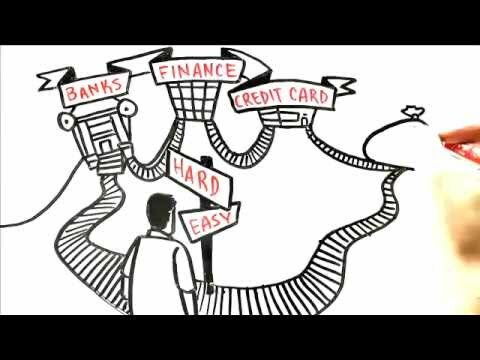 Watch this video to discover how Bank On Yourself lets you fire your banker! There is no other financial vehicle that comes even close to giving you all the advantages of a whole life insurance policy loan, which is why some people say it may well be the 8th wonder of the world. It’s also misunderstood by many people – including many financial advisors. Click for answer 1) What is a whole life insurance policy loan? One of the great “living benefits” of a whole life insurance policy is that you build up cash value which you can access as needed – for emergencies, to make major purchases like cars and vacations, for a college education, business expenses and/or to fund your retirement. You are actually borrowing against your cash value and using the cash value and death benefit of your whole life insurance policy as collateral for the loans. If you don’t pay your loans back, they will be deducted from the death benefit (along with any interest due) before the company pays out the claim. Click for answer 2) How much and when can you borrow from your policy? You have the option of borrowing up to 85-90% of your cash value through one or more policy loans at any time… and for any reason. The only questions you’ll be asked are how much do you want and where do you want it sent? You are contractually guaranteed to be first in line to get access to your cash value and you can’t be turned down for a loan! You don’t need to fill out any nosey credit apps or pledge your first born. Unlike the whole life insurance policies Suze Orman, Dave Ramsey and most advisors talk about that generally have no cash value in the first year or two, a properly-designed Bank On Yourself-type policy will have cash value in the first month. Our general recommendation is not to plan on taking a policy loan in the first year, though that option is available to you. The ways you can use a policy loan are limited only by your imagination! Of course, it’s important to be aware that having equity in your policy does not give you a license to spend more than you make or more than you can afford! What dreams could Bank On Yourself help you finance? 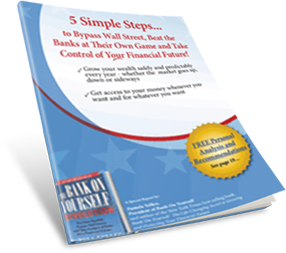 If you don’t already use the Bank on Yourself method, what are you waiting for? It’s easy to find out how Bank On Yourself can make your long-term and short-term goals and dreams come true when you request a FREE, no-obligation Analysis. Click for answer 3) Do you pay interest on policy loans and who benefits from that interest? You do pay interest on your policy loans – typically at below-market, competitive rates. If you don’t pay the loan interest, which is due the end of each policy year, the company will automatically add the interest to your loan balance. It’s a good idea to at least pay the annual interest due on your policy loan out of your pocket each year to keep your loan from increasing (unless you are taking retirement income). And be aware that excess unpaid policy loans may cause a policy to lapse with potential tax consequences. To find out how the interest paid on policy loans ultimately benefits the policy owner, see FAQ #5. Click for answer 4) Do you have to pay your policy loans back and what are the repayment terms? There is no requirement to pay back your policy loans. But think of it this way: If you borrow money from a bank and don’t pay it back, you’re stealing from the bank. If you borrow from your life insurance policy – which is like borrowing from yourself – and you don’t pay it back, you’re stealing from yourself! One comment we often hear from Bank On Yourself policyowners is about how much they now ENJOY paying back their loans, since they can see how it builds their plan back up, rather than lining the pockets of banks and finance companies! But the reality is that “stuff happens.” And when it does, you can reduce or skip some payments and not have to worry about collection calls, black marks on your credit report and so on. Knowing you have that flexibility brings great peace of mind, as many people who use the Bank on Yourself method have noted. We recommend you set up a loan repayment plan at the same time you take a policy loan – with the payments automatically coming out of your checking account each month. Your Bank On Yourself Authorized Advisor can help you create a repayment schedule that meets your needs and set up the automatic loan repayments. Note: Excess unpaid policy loans can cause a policy to lapse with potential tax consequences. So work closely with your Bank On Yourself advisor to make sure you avoid this happening. Learn how to find a Bank On Yourself Authorized Advisor who can help you set up and use your plan to maximize growth and minimize any taxes. Click for answer 5) How is it possible for your policy to continue growing even on the money you’ve borrowed from it? When you borrow from your policy, the money doesn’t actually come directly from your policy. It comes from the company’s general fund, because all the cash value of all the policies is pooled together. It works the same way in the opposite direction: the payments you make on your loans and the loan interest you pay don’t go back directly into your policy; they go where they came from – back into the company’s general fund. The company applies your payments of principal to reduce your loan balance. Then, at the end of each year, the company looks at their income from all sources, including the loan interest you paid, and they look at their expenses and the death claims they paid out. If their results are better than the worst-case scenario they projected, they pay a dividend to all the policy owners – assuming it’s a dividend-paying company, which is what the Bank On Yourself Authorized Advisors use. Learn where to find a Bank On Yourself Authorized Advisor who knows which companies have policies with ALL the features required to maximize the power of this concept. If you are the policy owner, you ultimately get the benefit of the interest you pay through a combination of guaranteed annual increases, plus any dividends the company pays. Which means both the principal and interest you pay ultimately end up in your Bank On Yourself policy for you to use again – for a car, vacation, business equipment, a college education, retirement… or whatever you want. Key Concept: If you pay your loans back at the interest rate the company charges, you will end up with the exact same cash value as you would if you didn’t use your plan to finance things! For example, let’s say your policy is projected to have $400,000 of cash value in year 25, if you don’t use it to finance anything. But let’s say you decided to borrow $30,000 in the fifth year to buy a car and then you pay it back at the interest rate the company charges over the next five years. And then you repeat that cycle 3 more times. At the end of 25 years, your cash value would be… $400,000 – the same as if you didn’t use it to finance anything. NOTE: This assumes your policy is from one of the handful of the insurance companies that offer this feature, which is one reason to be working with one of the 200 Bank On Yourself Authorized Advisors. To get a referral to one of the Bank On Yourself Authorized Advisors and a free Analysis showing the bottom line results you could get with Bank On Yourself, request a free Analysis here. Click for answer 6) Will your policy’s cash value grow faster if you don’t take a loan? If your policy is from one of the companies that offer this feature, if you borrow from your policy and pay it back at the interest rate the company charges, you’d end up with the exact same cash value you’d have if you didn’t use your plan to finance the item. CAUTION: Your policy must be from one of the handful of companies that offer “non-direct recognition” policy loans – only these companies pay you the same dividend regardless of whether or not you have any policy loans, which is another reason to work with a Bank On Yourself Authorized Advisor. The only way you would come out ahead is if you didn’t buy that item at all. Here’s why: If we’re going to compare apples to apples, we have to assume you were going to buy that item one way or another. Let’s assume that item is a $30,000 car. If you directly paid cash for it from a savings or money market account, after you withdraw the $30,000 to buy the car, how much interest would you then be earning on that $30,000? Absolutely ZERO! And you’ll only start earning interest again slowly as you make payments back into the account. Key Concept: It’s very important to understand that you finance EVERYTHING you buy – because you either PAY interest to finance or lease things… or you LOSE the interest and investment income could have earned if you’d keep your money invested instead. But when you run the purchase through a “non-direct recognition” Bank On Yourself-type policy, you continue to earn the exact same annual guaranteed cash value increase, and the same exact dividend, as though you never touched a penny of it. The average family could increase their lifetime wealth by hundreds of thousands of dollars – just by financing their cars and vacations through a Bank on Yourself policy – without taking on the risk of stocks, real estate and other volatile investments. To find out how much bigger your nest-egg could grow if you added Bank On Yourself to your financial plan, request your FREE Analysis today. You’ll also get a referral to one of the 200 advisors in the country who have met the rigorous requirements to be a Bank On Yourself Authorized Advisor. Click for answer 7) If you can get a lower interest rate from a finance company than the insurance company charges, should you do that instead? Caveat 1: You should ONLY do this if you have enough cash value in your policy to transfer the loan to the policy if you hit a rough patch financially. Then you would be in control of the repayment schedule, and won’t have to worry about collection calls, repossession or having your credit report ruined. Caveat 2: In many – if not most – cases, those low interest rate offers are NOT what they appear to be. There’s no such thing as a free lunch! The low rate is usually instead of giving you a discount or rebate. So, always bargain hard to get an amount equal to the interest savings knocked off the price of the item. Think about this for a moment… Do you love banks? Have they been doing you a lot of favors? If not, why continue to play the game by their rules, just to shave a couple points off your interest rate? Why not fire your banker once and for all, become your own source of financing and take back control of your financial future? Take the first step today by requesting your FREE, no-obligation Analysis! Click for answer 8) How does financing purchases through policy loans compare with putting money aside in a savings or money market account and then paying cash for those items? I’ve covered the top seven ways Bank On Yourself differs from savings accounts in this blog post. Click for answer 9) How does taking a loan from a 401(k) compare with borrowing from your policy? First of all, there are strict and fairly low limits on how much you can borrow from your 401(k). And one of the 15 largest companies in the U.S. stopped allowing their employees to take 401(k) loans. There are also rules on when and how you must pay your 401(k) loans back. If you are unable to meet these rules, you must pay penalties and taxes. And 401(k) loan defaults have been on the rise. And if you lose or change your job for any reason, you typically must pay your 401(k) loans back, plus all interest due, within 30-60 days. If you don’t, you’ll have to pay penalties and taxes! And you thought it was your money! Think again! The government and your employer set the rules and terms of when and how you can use the money in your plan. And they can – and do – change these rules whenever they want. You will also have to liquidate your investments or assets in order to take a 401(k) loan. Which too often means selling at precisely the worst time. On the plus side, you do pay interest on 401(k) loans, and, just like insurance policy loans, that interest benefits you. But, as you can see, putting your money in a 401(k) is like putting it in jail! Find out how much more wealth, control and financial peace of mind you could have if you added Bank On Yourself to your financial plan when you request your FREE no-obligation Analysis. Click for answer 10) If you’re taking policy loans for retirement income, do you have to pay them back? If not, how does the interest that accumulates affect your policy? There is no requirement for you to pay back your policy loans and the interest will continue to accumulate and can be paid from the policy values, if you choose. The loan plus the interest accrued will be deducted from the death benefit on the death of the insured. Work with a Bank On Yourself Authorized Advisor who will help monitor your policy to make sure it stays in force while you take out money for retirement. How much bigger could your nest-egg grow when you become your own financing source? Want to find out how much more money you could have (guaranteed) when you fire your banker and become your own source of financing? Request your FREE Analysis now and find out!